San Francisco… In 2016, he had the big honor to play the opening recital of the national convention of the American Guild of Organists before several thousand attendees in Houston, Texas. Michel Bouvard's discography has garnered international acclaim. One of his first recordings dedicated to the organ music of François Couperin (Sony 1992) has recently been re-released and named one of "Les Indispensables" ("indispensable recordings collection") by the magazine Diapason. Michel Bouvard is indebted to his grandfather, organist and composer Jean Bouvard, student of Louis Vierne, for inspiring in him in his vocation. Michel received his early training at the Paris Conservatory (musical theory and musicianship classes), while studying organ and improvisation in the classe of André Isoir. He also studied with the renowned organists of St. Severin in Paris: Jean Boyer, Francis Chapelet, and Michel Chapuis. In 1983, he won the first prize in the international organ competition of Toulouse, marking the début of his career. Called by Xavier Darasse to succeed him in the direction of the organ class at the Toulouse Conservatory in 1985, he pursued Darasse’s vision of partnership and collaboration with the city and region by organizing concerts, organ tours, master-classes, and the international organ competition with colleague Jan Willem Jansen. These efforts culminated in 1996 in the creation of the international organ festival Toulouse les Orgues which Mr. Bouvard directed for seven years, and the establishment of the Centre d’Études Supérieures de Musique et de Danse de Toulouse (ISDAT), a highly-selective, graduate level organ program for organists wishing to study on the wealth of historic organs in the Toulouse region. In 1995, Michel Bouvard was named Professor of Organ at the Paris Conservatory (CNSM de Paris) with his friend and colleague Olivier Latry. Together they have developed a unique, collaborative method of pedagogy, attracting the finest young international organists with varying career goals to the program. In 2013, he was invited to join the organ faculty of the Eastman School of Music, University of Rochester, New York, as a professor in residence for the fall semester. He will complete teaching residencies at Yale University in November 2015, and at the National University of the Arts in Tokyo in 2016. 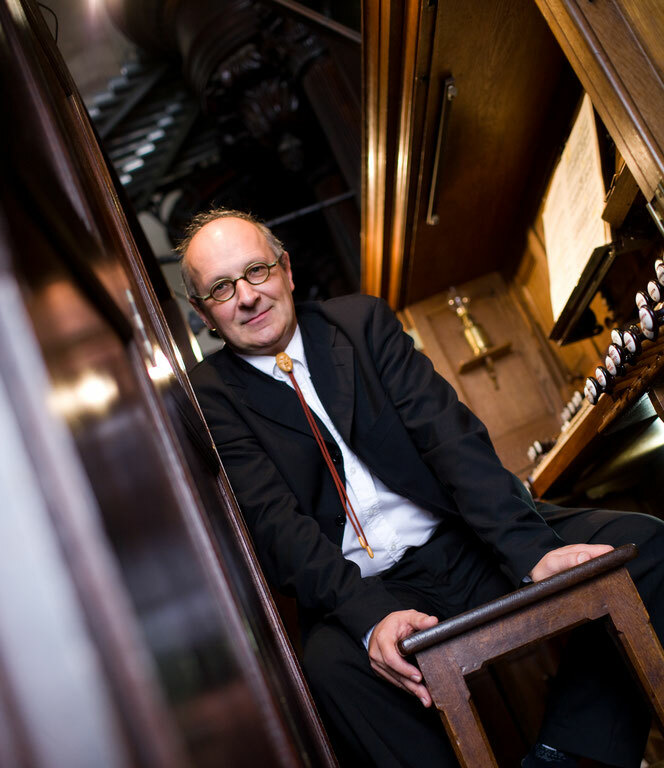 Michel Bouvard has been the titular organist of the renowned Cavaillé-Coll organ of the Romanesque Basilica of St. Sernin in Toulouse since 1996. In 2010, he was named of the four principal organists of the Chapel Royal at the Château in Versailles.